Being that I was not getting great weighting from last week and to save time gabe decided to help out this week with rigging. The way things worked out is that I worked on base weights for both danforth and dyer. I got all the weights to an alright state, then gabe went in and did all the fine tuneing. I am really happy with the result of the weighting that gabe did. The weights will still change as the animation progresses. Gabe also added in a extra joint to help with the squash and stretch in the body. Along with weighting I worked on some rigging fixes. The animators found some issues with the rigs that I went in and changed. The setup for the neck control was not as good as I hoped it was going to be. Therefore I went and changed the neck back to a regular Fk neck setup. I also fixed the fk controls in the arms. 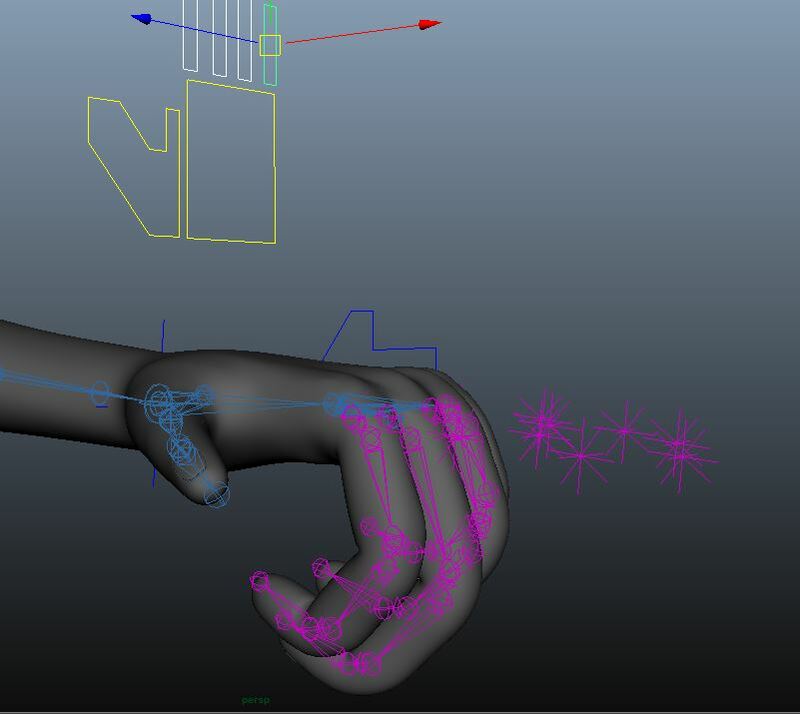 I set up the controls up so the clavicle controls are on the same rotation axis as the fk controls. While gabe was weighting he saw some joint placement errors, so I fixed those issues as well. Finally I worked on hands. It took me some time to find a good setup for the hands. I was able to set up the hands in a way that will let me go in and add in extra control in the future. As well I avoided using sdks and used the connection editor, which will also save time in the future. The rest of the hands will be finished tomorrow. Pros – It was great working together with gabe, he helped a lot. I am excited to start the face rigging. Cons – Some of the issues in the rigs could of been prevented. Pros – Houdini is fun to learn. Cons – Figuring out how to incorporate Houdini into everything with the project.